As youth hockey continues to evolve, clubs are finding new and creative ways to promote athletic excellence and build strong hockey communities. The Dallas Stars’ youth program is one such example. 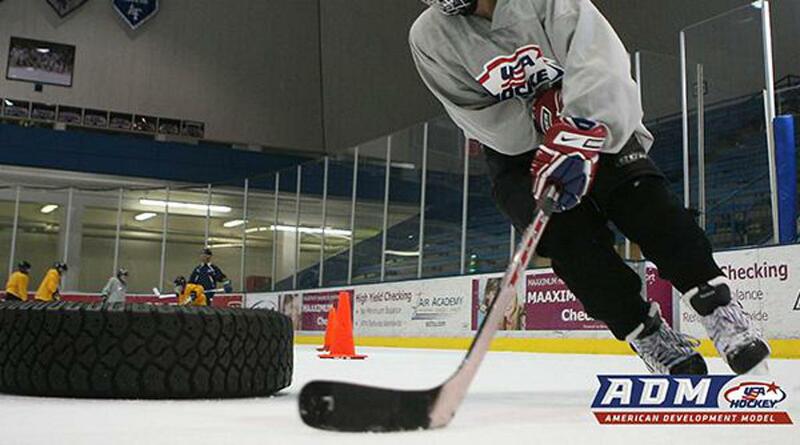 The Stars host age-specific skills clinics and camps designed to grow the game using techniques recommended by USA Hockey and its American Development Model. Since 2014, the Stars have conducted these camps using highly-trained coaches who travel to locations throughout the Dallas Stars Metro Hockey League (DSMHL). Known as the Xtreme Team, these coaches are certified through USA Hockey’s coaching education program. Some previously played in the NHL, including Terry Ruskowski, Andy Wiesnewski, and former Dallas Stars Brad Lukowich and Bob Bassen. The clinics focus on specific skills such as body contact, stickhandling, and shooting. Goaltending clinics were introduced this year, led by former professional goalie Kenny Carroll. But what makes these clinics unique, according to Stars Director of Hockey Development Dwight Mullins, is the coaches’ impressive background and their passion in teaching the game. The Xtreme Team has a solid leadership base led by Mullins, Stars Vice President Damon Boettcher, Bassen and local youth hockey pioneer Jouni Lehtola. The idea was to develop a group of professional coaches who had the skill set to help any player or association with development. Along with their seasonal clinic series from September through February, the Stars also conduct an annual summer camp and various spring break camps throughout the Dallas Metroplex. Once relationships with rinks and associations in other areas are established, the coaches travel to those locations and offer on-ice demonstrations, coaching education sessions, and equipment for beginning players. Since the ADM focuses on holistic performance, high energy and excitement are just as important as skill development. These concepts work in concert to create an experience that Mullins hopes will keep young athletes hooked on the game. The seasonal clinics typically run about an hour. Many of the offseason clinics run two to three hours, while summer camps are one week. Each clinic averages about 45 players, most of whom are already in the Stars’ youth program. However, the club accepts players from other associations. Thanks to financial commitments from the Stars’ ownership and the NHL, most of the costs associated with running the clinics are kept to a minimum, making them affordable for participants. Integrating ADM principles, Mullins believes, takes the guesswork out of teaching hockey the right way to young athletes. “When you can base your program off of scientific data that isn’t an opinion, it makes things very simple,” he said. The Xtreme Team’s efforts are being rewarded. Mullins recalls one player who went from having practically no experience to a competitive level in a short time as a result of the clinics. Such shining examples make programs like the Xtreme Team a blueprint for others to follow in growing youth hockey around the nation.